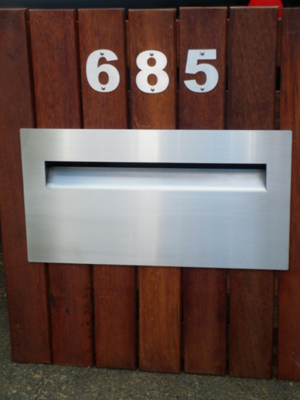 Letterplate with number & street name Letterbox front plate with laser cut street name  - $168.00 : Letter Box King, Best value letter boxes and lettering! 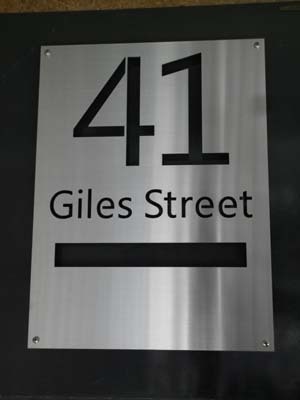 Letter-plate, Fence-plate made from 2 mm marine grade stainless steel brushed finish. The plate can be fixed to a brick wall, wood fence e.t.c. 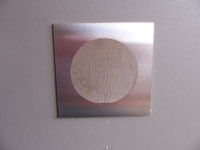 We can supply you the plate with 4 small holes for screw fixing, 1 hole in each corner. Please let us know in the comments box holes or no holes. If you go for no holes you have to glue it on. 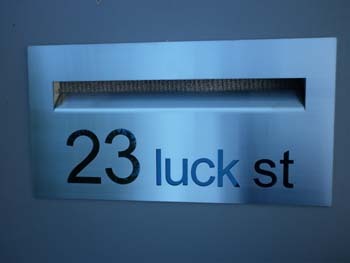 The Street Number and Name will be laser-cut into the plate. We supply you a sheet of black colorbond you can fit behind the text. 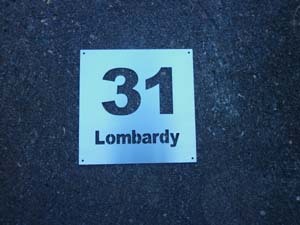 We also have these plates in stock without the street name and number. 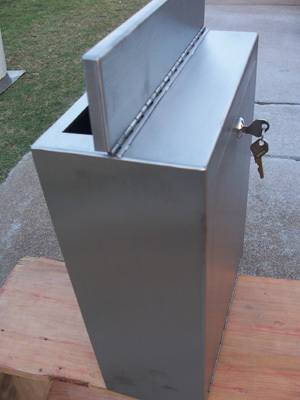 The back plate with a lockable door is also available on our website. 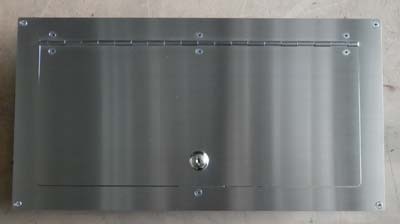 These plates can be custom manufactured in different sizes.